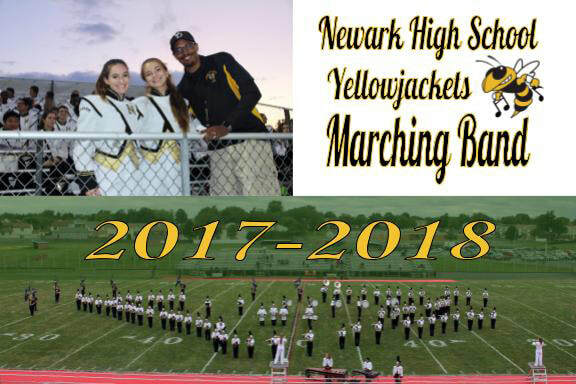 It is with great pleasure that I announce Newark High School’s new Music Director. Mr. Michael Archer was the top candidate of the selection committee by a wide margin. He is a Delaware native and has been participating in musical groups throughout his life. I have attached a welcome letter from Mr. Archer to this email. His plan is to attend this evening’s band practice and to begin to meet our outstanding students. He and I will meet frequently over the next few days to discuss the best path forward. This year Newark High School will be reestablishing itself as the premier comprehensive high school in the state. We will be rolling out a brand-new, student centered instructional Bell schedule that is exclusive to Newark. We will be offering new course selections, new programs of study, and a dual enrollment course with the University of Delaware health sciences. Finally, with the addition of the Activity Block, students will have an opportunity to self-select everything from enrichment activities to academic support. This is going to be an exciting year with many exciting changes. All of this makes it even more exciting to welcome our new Band and Choral Director, Mr. Michael Archer. Contact Mr. Archer via email. Band Fees: $100 due in Sept.
Report time is always earlier than the event time. Band, Chorus and Orchestra members usually need to arrive at the band room approximately one hour ahead of time. You will be emailed the report time for events about a week before its actual date. Please make sure your student arrives in plenty of time to have all their equipment and uniform and general stuff ready to go at Report Time. There is fee for each music student. The NHS Music fees are used to pay for concert piano accompaniment for choir and orchestra concerts, orchestra clinicians, competition fees, miscellaneous music supplies, band truck rental for away events, the music banquet for all music students and end of year uniform dry cleaning*. *However, if a student spills something on their uniform/gets it dirty, he/she is responsible for paying to have it cleaned at that time. MUSIC FEE DOES NOT INCLUDE CONCERT ATTIRE OR DINKLES! IMPORTANT! When sending in funds please send check or money order (not cash) and write your child’s name and purpose of the check on the memo line. Checks are to be made payable to “NHS Music”. Note: YOUR MUSIC FEE IS DUE IN SEPTEMBER! Checks can be deposited in the Music Booster locker in the band room or in the Orchestra room. Medical information and "permission-to-travel with the band" forms will be sent home during the week of Band Camp. These must be returned at the end of Band Camp or on any other trip/ away game. Students are issued uniforms during band camp. They will also be provided white gloves and a band t-shirt (which is worn to some of the performances). The cost is covered by the music fee. Order forms will be distributed for their marching shoes and concert attire (for indoor performances). The cost for shoes and concert attire IS NOT covered in the general music fee. it is a separate fee and the amount changes slightly from year to year. Your child may or may not need to purchase these each year depending if their clothing and shoe size changes greatly each year. Note: Shoes and concert attire will be purchased at the same time; however, the concert attire will not be needed until concert band season. The shoes will be used for marching band season. The uniforms are hotter than you think in the early autumn. Encourage your student to wear black shorts and a white t-shirt underneath for the first game or so. Be sure they have money to buy something to drink – there will be lots of perspiration! The uniforms are colder than you think during the later football season. Encourage students to wear long underwear underneath. It is smooth enough so the pants don’t “ride up”. Double socks also help as do black knit caps for in the stands. Students are issued jackets to go over their uniforms in colder weather. Students are responsible for bringing their own instruments to rehearsals and events and for loading / unloading them onto the bus for trips. We offer several fundraising opportunities each year where the students can earn money to pay for the band trip if they participate. The band usually makes on trip for the large band competition in April. The Marching and Concert Bands participate in competitions, festivals and parades. These are opportunities for the students to perform and compete against other high school bands. NHS participates in a competition in the Fall and an adjudicated concert during the Spring trip. Volunteers are needed to help chaperone, load and unload buses and the truck, and to walk the parade route with the band. ​We usually ask for a parent to take informal pictures at all music events and post them online and available for everyone to see (no names are posted) and download. You’ll be sent the URLs via the email list. We are always looking for more photographers. If you use a digital camera, and would like to contribute some pictures, please let someone on the board know. Helping at the football games ... What does it entail? Uniform Duty: Uniforms are stored in the band room. Students come to the door of the store room before the game and get their bagged uniforms. Afterwards, the students re-bag their uniform and return them to the store room where the volunteers hang them up. Chaperoning: For away games, each bus needs a parent on it to be sure everyone is on board and seated. Pit: Working the "Pit" means helping students to load and unload the instruments that remain on the sidelines during the show (xylophones, vibraphones, percussion, etc.) as well as the ladders that the drum majors stand on. After the show, all items are taken back to the band room (home games) or truck (away games). distributing the uniforms before the game and putting them away afterwards. One of the perks of helping with the above items is that you get free admission to the game! BOTTOM LINE ... GET INVOLVED!!! We need you! Whether you can donate a lot of time or a little, your contribution is important!! All the info you need to know!